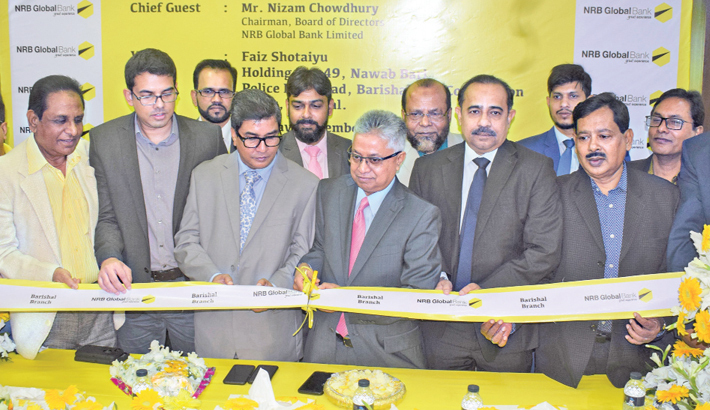 NRB Global Bank Chairman Nizam Chowdhury opens a new branch of the bank in Barishal on Monday. NRB Global Bank opened a new branch of the bank in Barishal on Monday. Nizam Chowdhury, Chairman of the bank inaugurated the branch as the chief guest, said a press release. Director of the bank Rashed Uddin Mahmud, Managing Director Syed Habib Hasnat, Divisional Heads from Head office, branch managers and distinguished clients were also present on the occasion.